Because it’s Sunday. And I’m silly. 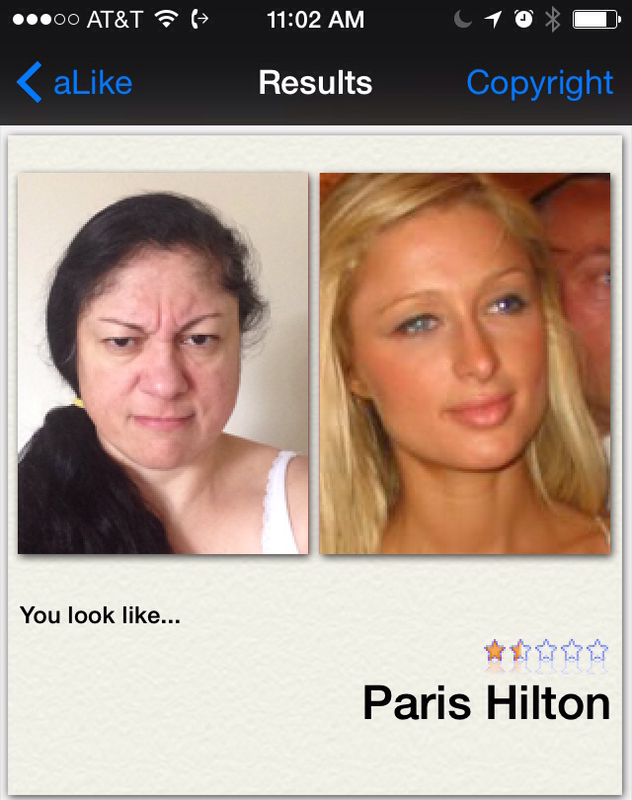 And you know… I have too much time on my hands. I was looking at my phone (yes, that is the first thing I do when I wake up) trying to find the fabled new features of iOS8 and came across this app I had downloaded because Nathan Filion. 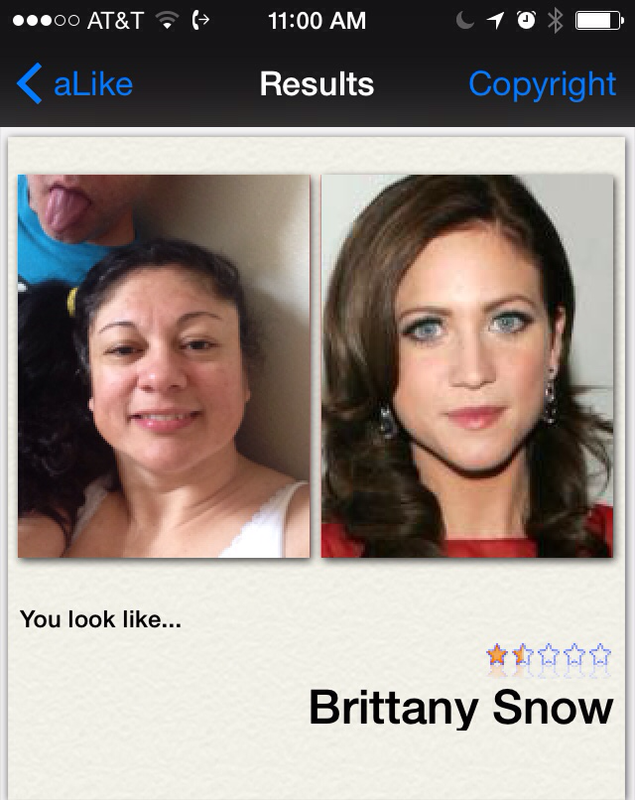 aLike is the name and I had forgotten I had it. Naturally, I had to play with it. Sid and I almost fell off the bed, so hard we were laughing. So much fun I just had to keep going. OK, what if I send my hair to the back instead? Then I had to try an updo, of course! Side pony tail a la 8Os? 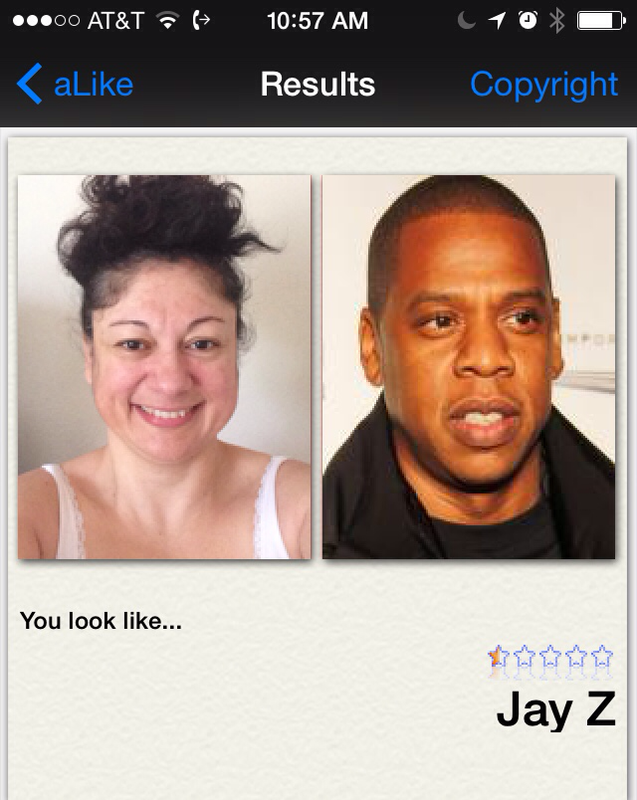 I love the Jay Z likeness. I don’t see it, but I love it. 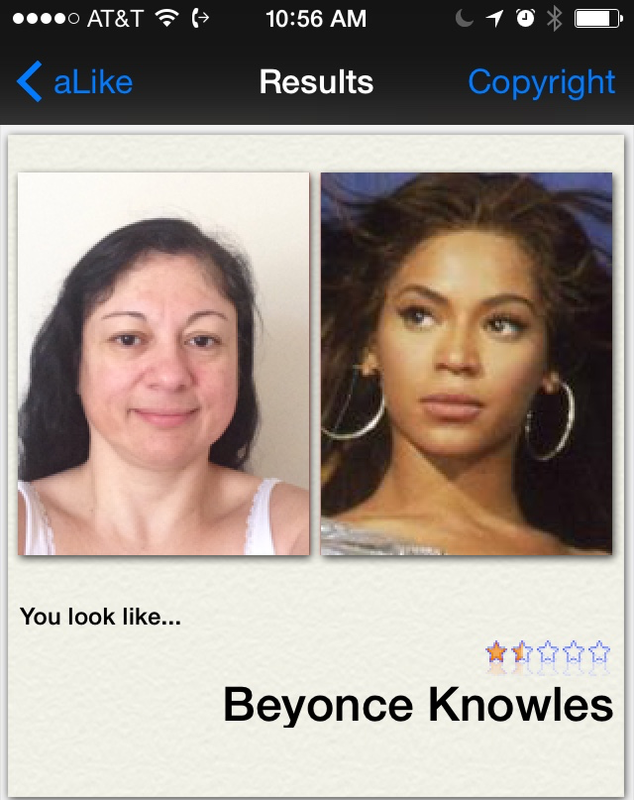 hahaha yeah, I know what you mean. I like that one a lot. 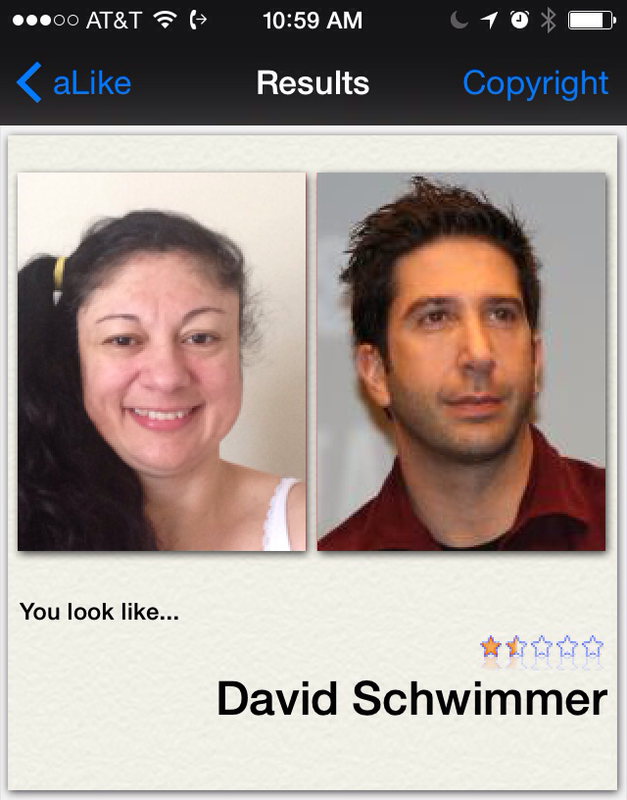 And David Schwimmer. And Hugo Weaving, of course. I am Elrond!